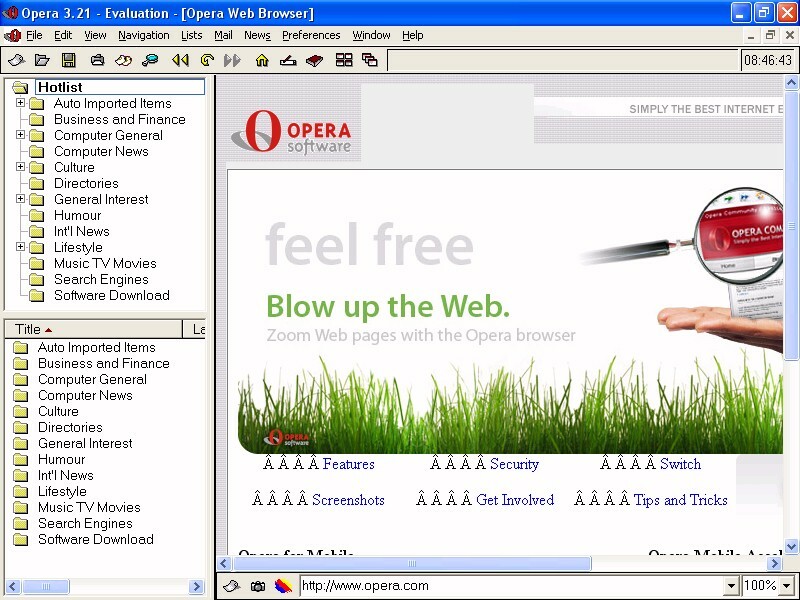 The above photo of Opera 3.21 is the protected under the copyright of Logan Meller. Opera 3.21 is �1995 - 1998 by Opera Software. This version of Opera was translated by Helmar Rudolph. Opera 3.21 includes software developed by the Independent JPEG Group. Opera 3.21 includes software developed by Eric Young - Copyright � 1995 - 1997 Eric Young (eay@mincom.oz.au). ScreenShots.ModemHelp.Net is the original creation of Logan Meller and Bradford Liedel. No part of this website may be reproduced or copied without documented consent of Bradford Liedel. No screenshot on this website may be reproduced or copied without documented consent of Logan Meller. Please report any bugs or errors to us here.